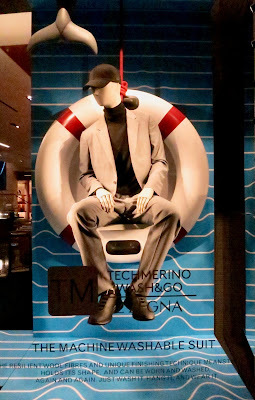 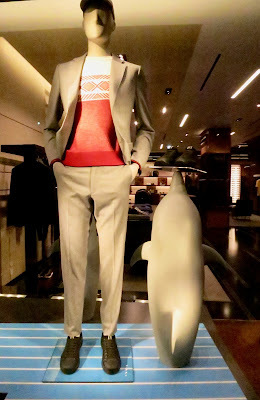 We've noticed a few schemes around town with themes relating to water / sailing and this one at Zegna is another winner from this incredible brand. Their schemes are a gift that just keeps giving. 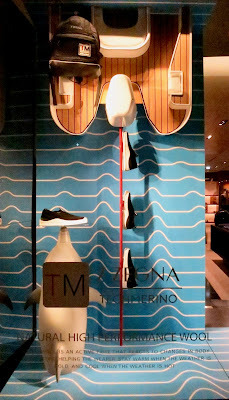 The store, along Bond street have installed some brilliant quality themes and installations, some with a nod to humour, others topical but always superb quality.